WASHINGTON, DC – Partners of the Americas is pleased to announce the launch of Ranfòse Abitid Nitrisyon pou Fè Ogmante Sante (RANFOSE), the first food fortification project in Haiti, in partnership with Global Alliance for Improved Nutrition (GAIN) and the United States Agency for International Development (USAID). 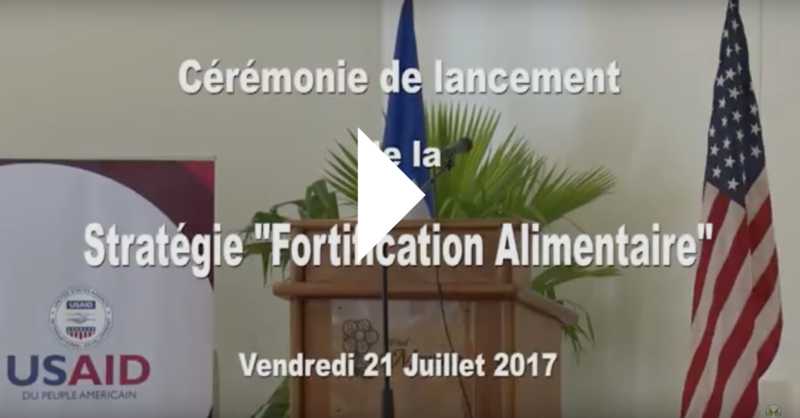 USAID’s four million dollar commitment over four years aims to increase availability of high-quality fortified foods throughout Haiti. RANFOSE aims to expand local production and importation of fortified staple foods and contribute directly to the Government of Haiti’s Nutrition Strategic Plan 2013-2018. RANFOSE will focus on fortifying wheat flour, vegetable oils, and salt. GAIN and Partners will use a multipronged, participatory approach to bring together key stakeholders in the public and private sector to stimulate a sustainable national program for fortified staple foods. Haiti ranks in the bottom 10% of the UN Human Development Index with 77% of the population living below the poverty line. The issue of malnutrition and food insecurity is complex and requires commitment from the public sector, private sector, and civil society. At the launch event in Port-au-Prince, Haiti, Chargé d’Affaires Brian Shukan confirmed USAID’s pledge to working with a diversity of stakeholders, “The project will work with the private sector, including local food producers and importers, to ensure market viability [in order] to reach a wide population throughout the country. 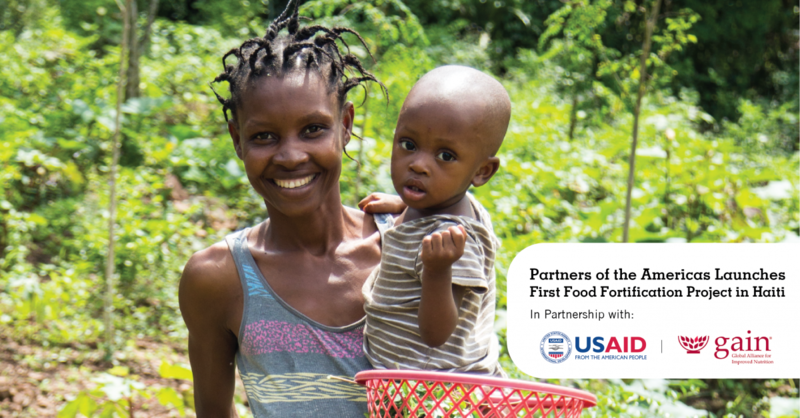 Partners of the Americas has successfully implemented similar projects in Haiti over many years, including the recent USAID-funded Haiti Nutrition Security Program that partnered with the Ministry of Health and local NGOs to reach more than 25,000 pregnant and lactating women. The mission of Partners of the Americas is to connect people and organizations across borders to serve and to change lives through lasting partnerships. These partnerships create opportunity, foster understanding, and solve real-life problems. Inspired by President Kennedy and founded in 1964 under the Alliance for Progress, Partners is a nonprofit, non-partisan organization with international offices in Washington, D.C.